Trust can be the foundation for positive relationships and growth. Lack of Trust can be the wedge that divides family, business, and relationships. Once trust is lost or broken, it is difficult to gain or rebuild. It takes trust to build trust: a ‘counter-intuitive’ thought. When pushed for details as to why there is not a feeling of “trust” it is often difficult for an individual to really articulate their feeling, but the feeling is definitely present. The foundation of mistrust is often a sense of misaligned expectations. If we define trust as the reliance and confidence in the other individual to meet our expectations, the expectations must be communicated and understood, explicitly and implicitly. To build a solid trusting relationship requires Time, Intentionality, and Proximity. We guide successful family businesses to clearly define a timeline, expectations, who is responsible for what, and who is responsible for sustaining the family business and the family legacy with accountability. Take the guess-work out of creating an advisory board. Forget the countless hours trying in vain to identify (and then recruit and then figure out how to pay) the right board members. We will provide the structure and the professionals for a focused, effective advisory board, and we implement the process for you. We support family businesses to help build and maintain a robust entrepreneurial climate with both family and non-family. We take a holistice approach with Family Businesses helping them understand they are more than the sum of their parts, and they exhibit unique behavior as a whole rather than the singular behavior of the Family system, the Business system, and the Ownership system. Family dynamics are complex and there is no one size fits all solution. Our facilitation helps build appropriate structures and guidelines that provide platforms to facilitate transparent dialogue and sustainability of the family business. Building a Family Legacy requires developing the rising generation. Our coaching process helps the next generation understand themselves, family dynamics, business knowledge, and foundational leadership. Our process creates a road to travel that is safe, allows the freedom to openly discuss where the family is going and how they plan to get there. With the commitment to the process there is built in accountability to keep everyone focused and on track. If a business family could work through the difficult questions and develop clear answers that all could agree to, understand, and continually communicate, they would see the health of their family and business grow exponentially. Advisory Board – How Can It Really Help? SKM Associates Family Business Consultants exists to serve and assist family businesses as they build and preserve their family legacies. We work with family enterprises and closely held businesses on issues such as succession planning, communication, board and family business structure development, family meetings, professional coaching and development, education, and business strategy. 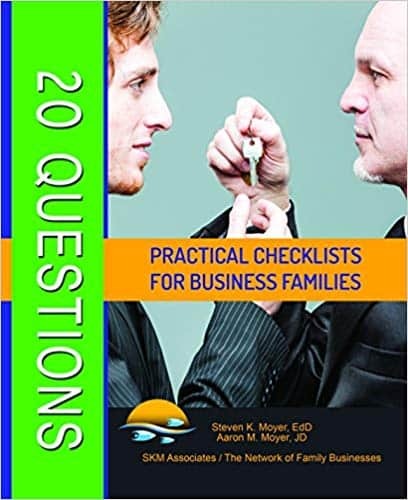 Have a question related to your family business? Ask SKM Associates Family Business Consultants.